He dresses her up like the ultimate shoulder candy and doesn't even have the respect to accompany the woman down a steep set of metal steps. Let's start with a couple of segments of television tributes to the now "fired", O'Reilly. The segments are a bit long but good for our digestion of the O'Reilly termination. We move now to those Twitter posts: Russia/Trump, Presser problem, Ted Nugent (mega racist) and family privilege. Both Putin and Trump have declared no election interference via Russian operatives and hackers. The truth be told! No matter the reasoning, the lies or the ineptitude, the Trump false statements about a naval armada has proven embarrassing and an indicator of an administration far from fit to lead a nation. ABC News; great read and video embed below. We really must stay mindful of a military action launched just after Trump took office. Someone in Trump's administration authorized a woefully inept infiltration mission into Yemen; thirty 37 civilians killed, one American navy Seal killed and an American eight-year-old killed. A mission President Obama was reported to have turned down twice prior to leaving office. Trump Press Secretary didn't perform well today when asked about the Trump comments and false blustering. International affairs isn't an episode of The Apprentice. A reflection on the winner of the Super Bowl and NFL Championship Patriots and 2015 vs 2017 (Obama vs Trump) White House visits. Sparse crowds are following Trump around like a dirty blanket. The US President as a branding item for a privileged daughter. Trump invites the nation's number one dweeb, Palin, to a White House dinner and take a look at the social garbage she joined over dinner. No matter your political persuasion or inclination Ted Nugent is a mega-racist who is nothing shy of reprehensible. The others pictured above? You can apply your own personal adjectives (even if complimentary). Wonder why the gun totting fire-brand racist didn't love his guns in Viet Nam? 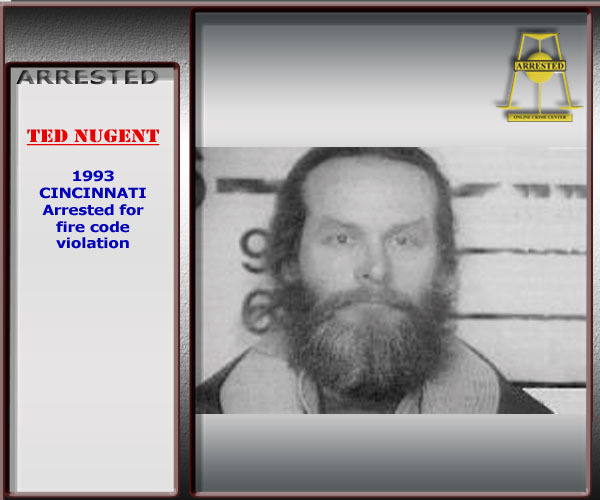 Wonder why the GOP seems ot love Nugent? The Jurassic Era party adopts a Jurassic rocker. CNN on Nugent and his political party. As the Star-Telegram indicated, Nugent's comments have been captured on video multiple times making these attacks, which have also been supplemented by his columns for the birther website WND and the Washington Times. Palin And Nugent: White Privilege At Its Very Worse! President Obama from a The New Yorker interview for publication on January, 27th. "There's no doubt that there's some folks who just really dislike me because they don't like the idea of a black president," Obama told The New Yorker in its Jan. 27 publication. Obama also said "there are some black folks and maybe some white folks who really like me and give me the benefit of the doubt precisely because I'm a black president." Sarah Palin on Monday (A day of celebration of the birthday of Martin Luther King, Jr.). Let's be clear and without equivocation, despite hatred on the far-right and among may conservatives Dr. King has become a beacon of light in US History. is place in our history is set and cannot be taken away via regressivism for many whites (and black conservatives) who want to return the US to the days of Jim Crow. Before we move-on we think of ten state axiom: "Isms travel in bunches." Regressivism will each into every fabric of our society and you shroud be able to see signs that the 92% white male GOP is on a path of "difficult" return. The GOP "War on Women" Is pronounced and spreading on a daily basis. Conservative contempt LGBT people is as obvious as January following December on the Roman Calendar. For those who troll around for idiocy, you may twist and interpret the calendar for sake of throwing silliness about, via reversing my comment; December follows January in the Roman Calendar. If that makes you feel better or allows you to avoid troll silliness to placate your ego. The salient point conservative elitism and oppression towards major swaths of the population are as real as the Roman calendar. Even if you did not celebrate MLK Day in any way the central point is you probably did not go out of your way to exhibit overt racism. Overt racism in may cases directly from a deep inner core of people who have been raised to believe they are superior to another based on culture, race, ethnicity and gender. People who believe such and simply refuse to extrapolate their twists social and psychological deficiencies, simply allowed the day to pass and enjoyed their day off. If you were scheduled off for the national holiday your did to report to work. I will wager very few MLK and civil rights haters petitioned their bosses to protect MLK day by showing up at work. Yet, few dared use the day to show the level and scope of their overwhelming ignorance and personal forms of racism. We start with one who raises her head with each photo or "attention" opportunity to remind her sycophants she is out there. Sarah Palin shows why the nation is blessed McCain/Palin were not voted into the White House. She slithers around like a camouflaged opportunistic Boa Constrictor lurking to strike. Yet. She strikes without gripping fangs, she strikes with her personal branding handed to the nation via her asinine nomination for the VP slot on the 2008 ticket. And, that branding guarantees income flow for appearances and book deals during the most opportune period (e.g., elections, certain holidays, and major political speeches). Here is a example of an opportunist's lurch to snare the minds and psyches of people who actually listen to her. "Mr. President, in honor of Martin Luther King Jr. and all who commit to ending any racial divide, no more playing the race card," Palin wrote on her Facebook page on Monday, the national holiday marking the civil rights icon's birthday. President Obama has appropriately and very infrequently spoken-out about issues of race when such issue warranted comment for a president of the Unite States. He has never once, spoken his perception of GOP obstruction to his administration and obvious personal hatred from many on the right to his race. He has done so, and he was right in his assessment and equally correct in speaking-out as he moves away form the presidency. Obama is not a person who allows himself to ramble about sticking his foot in his mouth with zany misstatements. Hence his heavy use of pre-written and teleprompter aided speeches and comments. We digress.... The one time he spoke extemporaneous was his comments about "keeping your health coverage." and we posit he may very well have actually believe the law was written as such. President Obama may have made the grievous mistake of failing to completely recognize the extent to which corporate America feeds itself (all corporate major stakeholders) at the expense of customers. He certainly underestimated the skill and acumen of corporate lawyers who scrub through laws for corporate leverage and advantage. Let me assure you it happens on a daily basis; the very reason corporations employ and retain highly compensated lawyers. Nonetheless, Obama has never once attributed GOP obstruction and conservative hatred to issues of his ethnicity. He has now spoken frankly about the fact there are people who are not ready for an African-American as president. He also carefully worded his remarks to touch on the reality some Americans are fond of Obama as president and with some consideration of his ethnicity. Let's take a quick look at Palin from an unknown author via via Facebook posting. We deleted references to children from the following anecdotal depiction of one who feels she can counsel Barack Obama, 44th President of the United States of America. Used the Canadian healthcare system for doctors and medication­. Married, More children who followed in her footsteps. Mayor of Wasilla population 5000. As mayor she appointed a town manager because the job was too hard. The current mayor said that the only busy day was Tuesday when she had to sign 100 checks for the workers. Gave a no bid contract for a $20 million Hockey stadium and as quid pro quo the developer built her a mansion for free. Left Wasilla in 20 million debt. Won due to the power of the wink and fabricated history. As governor she addressed a group of secessionists that her husband was a member of. They planned to secede from America and saw it as the enemy. Apparently watched the skies to see Putin flying over. Was for a bridge to nowhere before she was against it. Set a state record for ethics violations. Was chosen to be the running mate for John McCain. Destroyed any hopes of McCain winning by destroying any shred of credibilit­y he had. Which was not much to begin with. Quit as governor midterm to help America in other ways. Confided in friends and family that being governor was hard work and boring. Had a book ghost written written with her name on it. The book was proved to be full of inaccuracies and poor me the victim anecdotes. Became a critic on all matters Obama. All proved to be irrational and unhinged babbling. 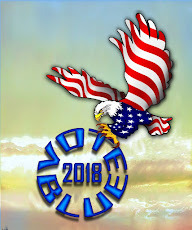 Endorsed several politicians in 2010, most lost and the rest were voted out in 2012. So not much value in her endorsements. Became a Fox pundit where she snipes and whines and is as unfair and unbalanced as the rest of these happy campers. Claims to be a patriot but secession will do. Used the million veteran march to showboat and used them as pawns in a petty, partisan petulant, rabble rousing performance in high farce. And to round it off she race baited the president on MLK day a day about MLK and not a day about her. A few illustrations of Obama's patience and reticence regarding issues of race before we offer an even more racist and vile example of which we speak. Palin babbles about the "race card." We guess, in addition to seeking attention for books sales and personal for -fee appearance, she choices to ignore the overwhelming and disgusting exhibition of racism from people who have issues with Obama as President. "Don't play the race card" comments when we live in a world delineated in the images above validates Palin's lack of intellect and her penchant for leveraging opportunities to provide revenue for her "brand." MediaMatters on the Network and public forum that supports overt racism and far-right demagoguery. Nugent made the comment during a January 17 interview with Guns.com at the 2014 Shooting, Hunting and Outdoor Trade Show (SHOT Show), an annual gun industry trade show that draws 60,000 firearms industry professionals. Nugent was representing the Outdoor Channel, which airs his hunting show Ted Nugent Spirit of the Wild. Nugent and Outdoor Channel recently announced a multi-year endorsement deal where Nugent will make "talent appearances on the network's behalf at top consumer and industry trade events." In announcing the deal, Outdoor Channel's CEO said that Nugent "symbolizes everything that is right in our industry." We will place the person above in true perspective, if you have an additional 3:40 minutes. Linked; longer HD versions Linked. Of course, the CBS interview and analysis do not touch into issues of race, they are posted to address the mindset of people who earn copious fees, garner attention, and are provided platforms for what can be described only as racist. If Nugent's comments above are not clear, recognize people to whom he speaks clearly understand his word choices. Referring to the president of the United States as a "mongrel" places Nugent's remarks in a much darker chasm of the racism than those spoken by Palin. Merriam-Webster dictionary defines mongrel as "a dog with parents of different breeds." 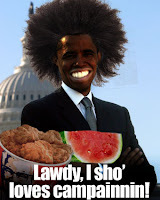 Do you find it intriguing fifty plus years from his birth Barack H. Obama is being personally maligned related to race? He is being maligned by people who fit the very paradigm to which the president spoke. They hate that he is president! We posit it is impossible race is not a guiding impetus for hatred from the two right-wing nut cases delineated in this screed. And, the two nut cases are mere tips of an iceberg that people really should admit. Someone should remind Nugent of the downfall of one Craig Cobb, renowned white supremacist, who has fallen on tough times since his DNA indicated he is not as pure of race as a personal guiding principle and foundation of his racist paradigm (and preachings). I often wondered how Craig Cobb allowed himself, in his blissful ignorance, to accept a DNA test. His ignorance and lack of education guided the white supremacist directly into a trap that he should have known was in his path. The links also includes the rants and raves of a noted black separatist who often also comes across as a racist. It would be great to see if Ted Nugent would sit for a DNA test? The underlying reason for development of this screed relates to overt exhibitions of "white privilege" and illustration of the "Fabric Of Oppression." Since we referenced it above, and if you have read this far, you might find the following evidence of how people grow to adulthood with bigotry and racism emblazoned in their psyches as thoroughly as the ability to speak. Both Palin and Nugent via their repeated forays into issues of race exemplify privilege not shared by people have '"conferred privilege' simply as a birthright.